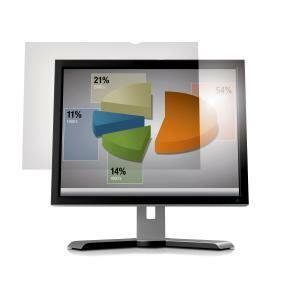 The 3M™ anti-glare filter reduces the glare and mirror-like reflections on widescreen desktop LCD monitors. It has a frameless design with matte finish that protects the screen from scratches and is compatible with touchscreen displays. This re-attachable anti-glare filter fits all 19 Inch desktop monitors with 16:10 aspect ratio and it is easy to clean.